Pour coffee into a tall glass. Pour in the bourbon and give it a stir. Drizzle with ice cream toppings. 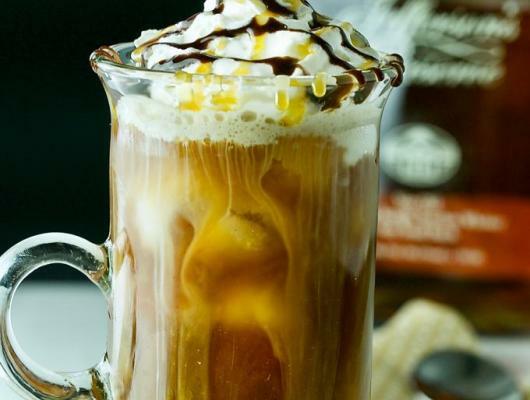 Love having a specialty coffee to end your meal? 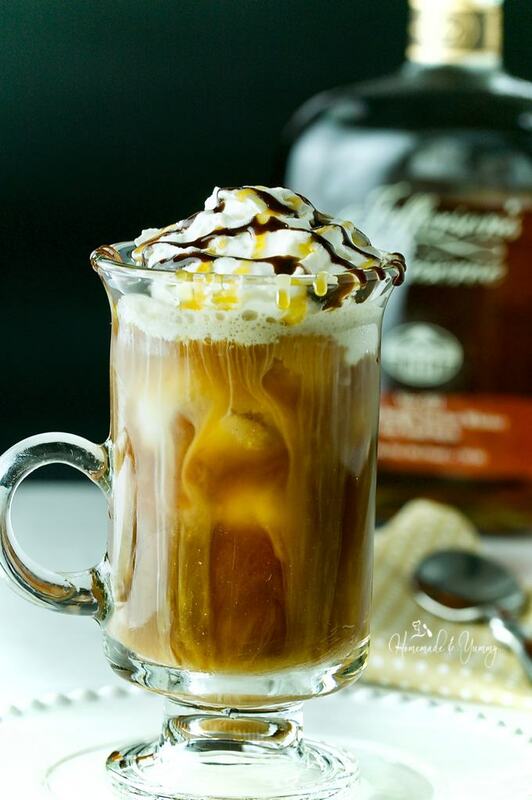 This Boozy Bourbon Iced Coffee After Dinner Drink is dessert in a glass.